I have been wanting to do hair tutorials for SO LONG and am sooooo SO excited to announce a new collaboration with Pouf Blowout where we will be bringing you amazing ones!!! I am excited to learn more about hair and how to style it in fun ways. I went this morning and the girls over there are so incredible.... if you're in Dallas you need to check them out! 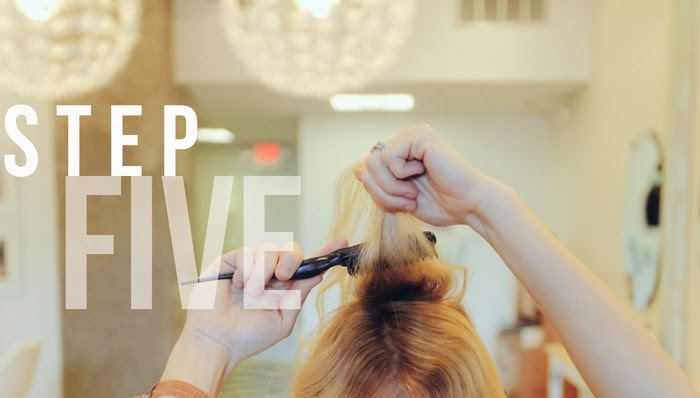 They have blowouts, a braid bar & more, swoon! We were talking about the first tutorial and all agree that Olivia Wilde was STUNNING at the Golden Globes and it would be so fun to recreate her gorgeous soft curls swooped to one side. This seems like such a simple yet beautiful option for a night out. You may also want to use a heat protectant spray before you begin (We used KM Young.Again). Hold curl in your hand to let it cool. You can spray it if you want here ( I chose not to spray). (Curl each section). 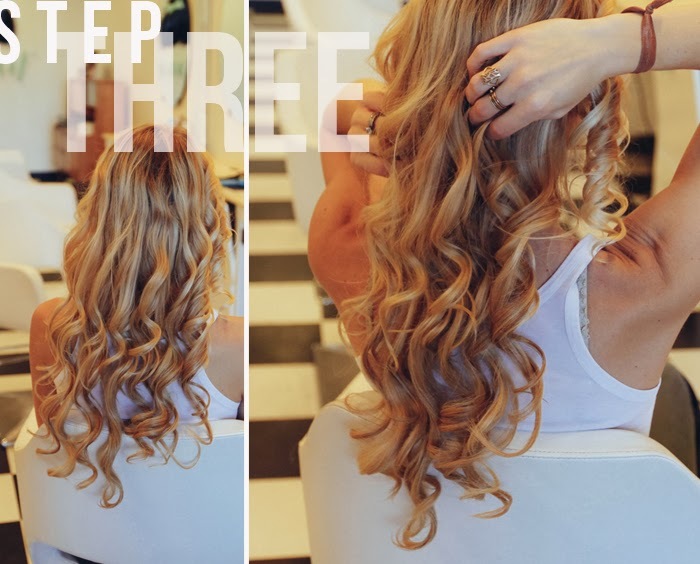 Repeat step two until all curls are finished. 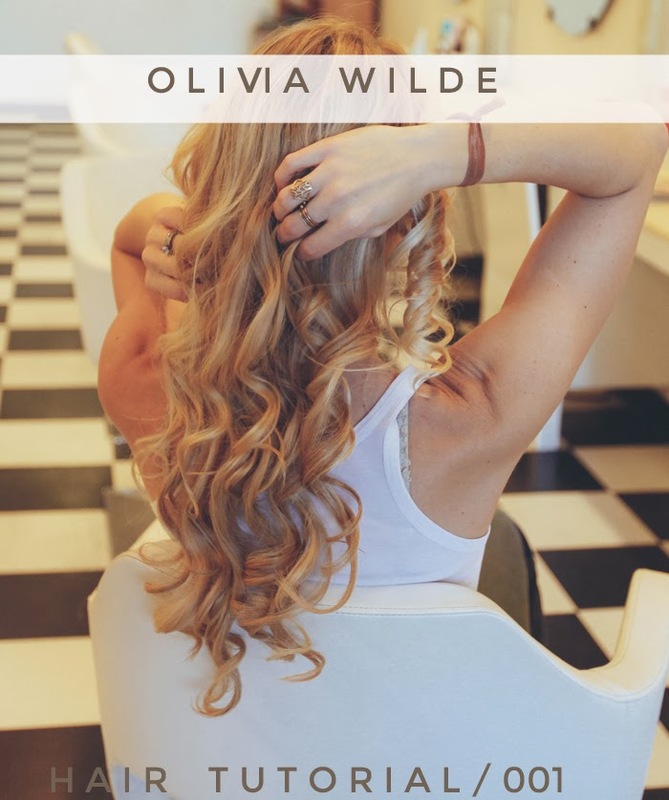 Don't worry about curls being too tight because in a minute we will soften them out. 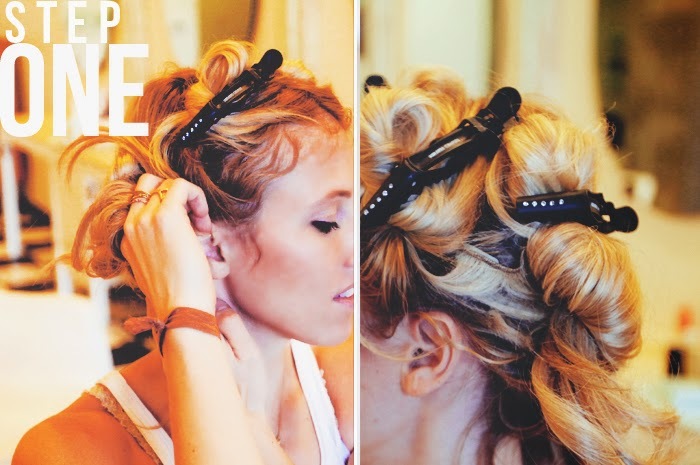 Flip over head & begin to pull lightly on the bottom of your curls. This will begin to soften them & pull them apart. Take a soft bristle brush & gently brush through the curls. 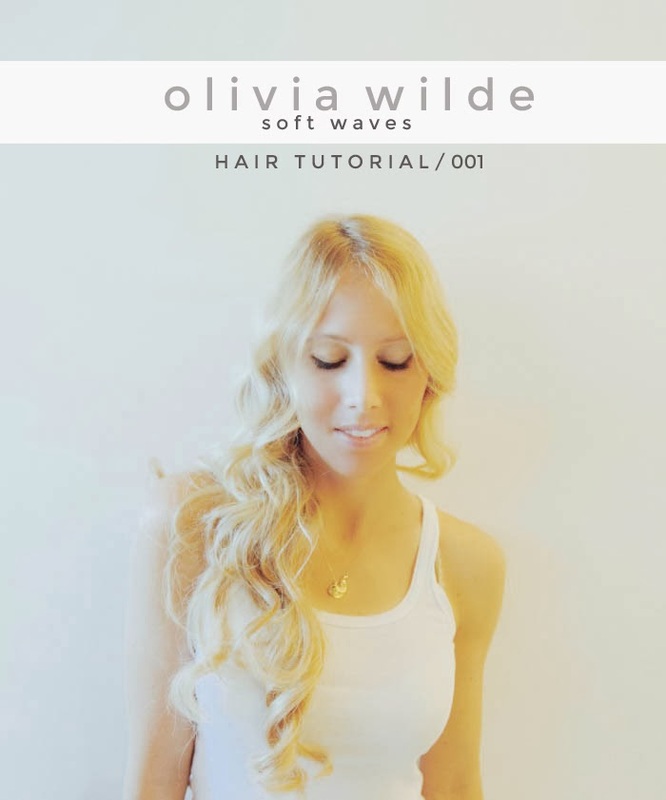 This will give you the soft wave look! To add volume in the crown area, tease it a bit with a teasing brush and then carefully brush over to smooth it out. Don't brush too much or you'll flatten it out again! Pull to one side & pull hair apart a bit to create even more volume. Thank you to Pouf Blowout for this amazing collaboration!